Tokyo Green Space examines plants and people who are bringing nature to the world’s biggest city. Jared Braiterman PhD began this project in 2009 with a generous research grant from Hitachi and the Council on Foreign Relations. The blog looks at how to make a living city. Jared leads Social Models, a design research studio in Tokyo and San Francisco. Jared is a Harvard and Stanford trained design anthropologist who has worked in university education, start-up consulting, web services, and urban planning in Japan, the Americas, and Europe. CNN, the Financial Times, Newsweek Japan, and the Ecologist have featured Tokyo Green Space as a leader in new ideas about urban life. Dr Braiterman’s extensive network includes urban leaders in major world cities including Tokyo, Beijing, San Francisco, New York, Sao Paulo, Paris, and Mumbai. Yes, green courtin can cool down, and also in this way they will have no more sun light, and so they need much electrical power to have light, when the sun can do this for free, also healthier for the eyes. Where is then the advantage ? 4 degree cooler, but much electrical power to make light and danger for the workers eyes ? And, how interesting to see a photo of a “green curtain”. I LOVE this! This is what I love about Japan. It’s great to take a walk or jog around the neighborhood and check out what people have growing in pots and cracks and God knows where. I’m in the US now and I would love to see more of this! Jared, Huge congrats on this. I can’t wait to learn more about your “moss entrepreneur” connection. Sounds right up my alley! Thank you, Mossin’ Annie. I am curious what sort of maintenance moss requires in sustainable landscapes. Britton knows far more about moss than I do, but I thought it was fairly difficult to propagate most species. Your site has some great information about maintenance, the many types of moss, and landscape possibilities. Jared, what a wonderful site. What a wonderful project. I’ve done my best to create my own little greenspace on our little balcony in Meguro – even just a few herbs and a pineapple plant do wonders for the spirit. I’d very much like to meet you and possibly do a special green podcast about this project. Fantastic stuff. Hi, I tried emailing about reposting a picture and your banner to introduce your blog – which I love – on my blog. I basically wanted to know if that’s OK, and if there are permission issues, please let me know. I have spent 6 month in Kyoto last year. the most unexpected experience I’ve had was to reveal the huge gardening potential of every pavement, road-sides, tiny balconies etc… I have some nice photos if you would like. coming back home- I’ve realize I can not explain this idea to others, as the way people treat common areas at my country is so different. They don’t realize the fact that the fence of their small garden is also an obstacle/imaginary boarder. finding this website is great! thanks. I was looking for a contact for you but didn’t see one, so I thought I’d introduce myself here. I’m a freelance journalist in Tokyo (I also write a blog about wine and sake called Tokyo through the Drinking Glass), and I came across your blog while researching green ideas. It’s a fantastic resource! I’d love to talk to you some time about the work you’ve been doing with this. Please email me when you have a chance. Last week I saw the presentation of Jared Braiterman at the Pecha Kucha evening in Tokyo and I was very interested in the research of GREEN SPACES in Tokyo. My name is Ragoen Rob and I am a exchange student at the Chiba University, Japan, as a master degree student in Architecture. For my dissertation I have to make a study of the metropolitan area in Tokyo. “(Ab)use the unused” is the very abstract, working, title of my thesis. I want to make a research about the way the city deals with its unused ( open) spaces. Do they use them for public spaces and if so, how do they reorganise the place into a good functional place? Or do they leave the places unused, like the spaces in between the houses or the enormous spaces under the subway tracks. As an architectural and urban planner’s point of view, I want to discover the possibilities designers, architects, creators have proposed for these interesting, mostly forgotten, places. One of the items I want to know more about, is the function of green in the city. As a green space can also function as a public space or as an open space, as Jared mentioned it. And quiet similar to the experiences of the Tokyo Green Space researches, I discovered that the Japanese people have the same doubts about the amount of open spaces in European and American cities compare to them in Japanese cities. They answer me that Tokyo has enough public spaces and greenery. It is true, but definitely less and sadly most of them are private. It seems that the Japanese citizen doesn’t really feel the need to have more OPEN ( GREEN) SPACE, so I wondered, does the city needs them in order to survive and modernize? 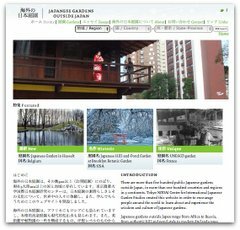 With this post I would like to open a discussion with the readers of this blog about what they think, feel, hate, love or admire in Tokyo’s OPEN ( GREEN) SPACES. Rob, your focus on unused urban space sounds fascinating. It’s great that you are approaching these big questions from an architectural and urban planning perspective. I, too, am intrigued about unused spaces, and about maximizing the potential of public spaces, especially walls, streets and rivers. I am very surprised that Japanese people have told you that they have enough green spaces. Many people told me that they wish they had more grand parks like Paris or Washington DC. Yet, despite poor urban planning, I also observe how eager Tokyo residents are to grow plants on sidewalks, small alleys and streets, even in subway toilets. I am intrigued that you mention that unused and abused spaces under the subway tracks. Near the stations, the under-track areas are often used for small restaurants and shops. Further from the stations, the under-space remains unused and dead. I heard that Japan Rail wants to make better use of these dead spaces. I am curious what you and readers think can be done with these marginal spaces. BTW, Rob is a Belgian graduate student now at Chiba University. I think he previously studied in Spain. Very international! Thank you, Rob, for bringing these important questions to the blog comments. I am amazed that many young students from Europe, Japanese architects and planners have found this blog, and others have found this blog. I join Rob in asking all my readers to please feel free to share what you think, feel, hate, love or admire in Tokyo (and other big cities) open and green spaces. And remember, you can leave your comments in English, Japanese, or any language of your choosing. Very interesting blog. I’ve been living and working in Japan for about eight years and am currently a research student at Tokyo University of Agriculture and Technology. My research focuses on the multi-purpose use of Japanese alternative agriculture (primarily as an educational tool) by NPO/NGOs. I’ve also been very interested in the use of urban green space in Tokyo and looked into starting an NPO (Urban Farming Tokyo) last year with some colleagues. Needless to say, we hit some snags…but I’ve still been trying to connect the social imperative to the inherent environmental/economic aspects of urban green space development. Anyways, I’d be interested in talking to you first-hand and ask your advice on some ideas I’ve been throwing around with some NGOs here. Email me, if you have the chance! I am glad that I find this blog. What a great site! I lived in Tokyo for 9 years before I came US. I see many familiar names and places. I look forward to seeing more. You are also a Nodai (Tokyo University of Agriculture) graduate? Welcome, and I hope to learn from your comments! Yes, I graduated Nodai in 1997. I meet Suzuki Makoto sensei for few years ago in NYC where I live and work now. Please say hello when you see him. Any park you will choose, will be crowded in Tokyo. Try to go out of Tokyo – Kamakura, Nikko, Yokohama, sure better places than super-croded “fish-can” hanami parks. Thank you for this fascinating blog!! It puts words and pictures to what I love (but couldn’t accurately describe) about how greenery is incorporated in even the most unexpected places. I love the idea of rice being grown and harvested right in the middle of Ginza or a random someone taking the time to set up flowers in a public toilet. I went through your archives and I remember an excerpt on a book/website that recommends streets and gardens to visit as part of a “green walking tour” of Tokyo. Do you happen to remember the name of the author? I combed through your archives but I can’t seem to find the info. Thank you. Thank you, Sano, for your comment. It’s the everyday plants in Tokyo– and the people that take care of them– that make this huge city so enjoyable and livable. The book I mentioned is not quite what you are asking but close: It’s Sumiko Enbutsu’s “A Flower Lover’s Guide to Tokyo” (Kodansha 2008). The book organizes self-guided walking tours throughout the city organized by flower and season. However, the book focuses on formal gardens, both famous and smaller ones, rather than some of the more informal spaces I am drawn to. You can buy the book or read more about it on Amazon. Thank you for the book reference and explaining the focus. You’re right…it isn’t quite what I imagined it to be. I came across your website as I was doing research for a short paper I’m writing. I was wondering if there was anyway you can provide some information about green space/parks in Tokyo. I’m looking to find what the park/green space area per capita in Tokyo is, how many parks there are in Tokyo, and what the total area of parks/green space/recreational area is in Tokyo. If there is a website you could direct me to that’d be great, or you can email me at the listed email address. Thanks so much, I look forward to hearing from you soon! Jennie, I am looking for that information, too. If you or another reader find it, please share it with me and this blog! Hi Jared, I found your blog via the SF Chronicle article about high-speed rail. The intersection of urban design, bio-diversity, and community is something I’d like to explore in a PhD program. I was leaning toward Architectural history or Urban Planning, but now there’s “Applied Anthropology”, a field I’m just coming to know…Do you have any recommendations on specific people, departments, or PhD programs to look into given my interests? Hi Friday. Sorry for the slow response, and I love your cycling blog. I think bikes are a crucial part of livable cities. As to your question about applied anthropology, I have been thinking about your question for a while now. I can’t really recommend a PhD program in it, even though as a “design anthropologist” I do find great value in my education as an anthropologist. My background was first as a purely academic anthropologist, and then becoming “applied” through years of self-learning and experience in cross-disciplinary work teams. I received no support and quite a number of obstacles from my big name academic department in finding gainful employment. Basically, I think anthropology as an academic discipline is too focused on purely academic matters (at least it was in my day) and is such a small employment field that it requires more tact and obedience than I was capable of when a student. And applied anthropology is still a new and not well known field. Back in my day, elite PhD programs in anthropology offered full scholarships, but I am not sure that applied anthropology programs are established enough to do that. My biggest advice is to pursue anthropology + something else: urban planning, digital story-telling, architecture, or business. As valuable as anthropology can be professionally and personally, I don’t believe that it is institutionally capable of helping graduates with job placement or skill-training. Before investing time and money in a PhD program, I advise investigating the job placement history of any program you are considering. If anyone thinks I am wrong, I am happy to hear about it. If you are interested in “design anthropology,” I suggest subscribing to the Yahoo Group called “anthrodesign.” It combines a mix of useful questions and answers, pedantic reasoning, occasional arguments, and information on jobs and methods. Jared, I came across your site after reading your recent paper on the Kandagawa river, which I consider part of my “backyard” along with the Zenpukuji river. My daughters ( 5 and 8 ) and I planted our own green curtain on a balcony in Suginami this spring after receiving some free Goya seeds (from J:COM of all people) at a local festival. We had a great run growing mini tomatoes as a school project last year and since discovering Tokyo Green Space I’ve decided to extend our balcony garden. My daughters suggested they’d like to grow cucumber, eggplants and okura. (They also suggested watermelons, pumpkin and coconuts!) Do you believe it is too late in the season for us to get this underway? Growing up on a suburban block, in the 70’s, two thirds of which was vegetable garden I’ve been pleasantly surprised at pleasure that can be gained from a few pots on the balcony in suburban Tokyo. Hi Byron, Thanks for your message. That’s great that you are creating a balcony green curtain in Suginami. Do you know about this other Suginami green curtain project: http://greencurtaintokyo.net/ ? It is certainly not too late to grow vegetables, and I like that your daughters have expressed interest in trying cucumber, eggplants and okura. Apart from coconuts (sorry, kids), all of the vegetables your daughters suggest can be grown in containers. At this point in the year, I recommend buying starter plants rather than planting seeds. The cucumbers I planted as starters 1 month ago have already given me two cucumbers, one of which I ate today! You will be amazed at how fast vegetables grow in the hot and humid Tokyo summer. I would love to hear more about your residential garden. I will soon be launching a Tokyo-DIY-Gardening blog that will be set up to easily include contributors, so I hope you’ll consider sharing some of your gardening experiments, photos and stories. Please check this blog for news of the public launch soon. Even in dense Tokyo, there is a lot of gardening fun to be had! Thanks for your prompt reply. I have indeed visited the Green Curtain Tokyo blog, and was given some pointers as to where to shop locally in Suginami-ku by the blogs author. My daughters and I got our balcony garden underway over the weekend with cucumber, egg plant, tomato, and okura plants alongside our existing goya infestation (they’re unstoppable!). Knowing how much their mother enjoys blueberries my girls insisted we buy a blueberry bush also, although I’m not sure how much success we’ll have with that. So in the space of an otherwise normal weekend we’ve gone from bare concrete to jungle. More by accident than design, the balcony garden is located directly opposite the sliding doors to our tatami room so can be enjoyed from indoors as well as out. My daughters sat on the tatami on Sunday morning drawing and documenting (height, color, shape etc.) each of the plants in crayon. While I’m far from an talented writer I would be honored to contribute to your Tokyo DIY Gardening blog when it emerges. We are VivaCity http://www.vivacity.me – we find and celebrate grassroots movements in cities around the world, and we love your project. Would you be interested in contributing to vivacity? Growing fruit trees at train stations, turning gang members in to musicians, dancers and actors, knocking a whole through your office wall so street kids can use your computer, making high fashion bags out of rubbish collected from the streets of Delhi. These are some of the grassroots movements chosen for VivaCity’s first birthday. Over the past year, the VivaCity team have found, met, planted, swapped, walked, drummed, eaten, danced, cycled, hugged, partied, learned and laughed with over one hundred movements which are changing the way we see and use cities for the better. From Rio to Rotterdam, Nairobi to New York, Toronto to Tokyo, all around the world, pockets of people, like patches of wild flowers, are springing up in cities. Like nodes, they’re attracting people like them – a kind of electricity is in the air. You could call them movements; there’s certainly momentum in their actions. They’re all asking the same thing; “What do we want to do in our cities?” and then they’re answering that question by creating what they want. From the unexpected to the absurd, we have chosen of our favourites for this two part birthday special. We hope you are as inspired as we are. VivaCity finds and celebrates grass roots movements in cities around the world that are connecting people and creating new types of communities. They are typically low impact, highly sociable, enabled by technology, using public and private spaces in new ways and empowering people to act locally. I am a historian of modern Japan and doing some research on Tokyo and its “heat island” dilemmas. I love your project and would like to meet or chat about it to give some perspective to my other research. I will be in Tokyo during October 2010. Would love to make contact. Please email me at the address included in this form if you get a chance. I read your article in this week’s Metropolis magazine. At first, I thought the article was going to be about a butterfly travelling on a train; I once saw a butterfly ‘get on’ a train at one stop, flutter around, and ‘get off’ at the next stop of the Yokohama Line. Most of the commuters were asleep and missed the spectacle. Anyway, your article wasn’t what I’d expected, but I enjoyed reading about the use of public space here and wanted to find out more. I used to write an environmental column for Kansai Time Out, and have been interested in green architecture/planning since researching about urban trees, the psychological and social benefits of green areas, etc. Having lived in Kyoto for four years, at first I found the greater Tokyo area, or west Tokyo at least, to be comparatively lacking in green. But that made me look a little closer and I began to notice, as you’ve pointed out on this site, the micro green spaces. I don’t know if it’s a community policy, but in Sagamihara the small areas around the street trees, which’re often left bare or concreted/gridded over in other places, are filled with various plants. These tiny green spaces do make a difference. In an urban area; it feels good to have some connection to ‘Life’ and the changing seasons. I’ve also been impressed with how building and shop owners seem to encourage, or at least not mind, nesting swallows. Again, catching glimpses on the daily walk to the station of the swallows courting, building nests, sitting on eggs and then raising young, all within a few feet of a steady flow of passers-by, was oddly comforting. Site readers might be interested in the work of Kyoto-based visual artist Markuz Wernli Saito (http://www.momentarium.org/) and his use of public space for ‘creative encounters’. I particularly like his ‘radishes for adoption’ project (http://www.momentarium.org/experiments/radish/) to encourage urban gardening in Kyoto. A few years ago, I made a commentary for Markuz’s ‘canal walking’ project (http://momentarium.org/about/reviews/aspect.shtml) and we had a great day walking the canals of Kyoto. And I have a random question. A former lecturer of mine (I returned to the U.K. briefly to do an MSc in Biodiversity & Conservation) has asked me to look out for the creeping fig Ficus pumila. He’s doing a comparative study of wasps of the creeping fig and wants me, if possible, to take a sample of the wasps. Would you (or any other site visitors) know where this particular fig grows? From my research it seems to grow in southern areas of Japan (?). Thanks for an inspiring web-site. And I’m glad to find out finally what an Angel’s Trumpet is. Hi Ida, Thank you very much for writing and providing information and links about the wonderful Capital Growth project in London. It’s great that you have organized so much support for growing public food in London. I look forward to following your work! It would be great to share experiences between global cities. Hi there. This is Hamideh. I came to Japan as a research exchange to study urban green space irrigation particularly using waste water. I would appreciate to advise me if you have any experience or link me to other contacts. Hi Hamideh, That’s a great topic. Using waste water and rainwater is critical for large cities given the cost of collecting and processing it. I don’t know of any innovative projects in Tokyo in this area. Why don’t you write up a slightly longer request for ideas, and I can feature your question as a blog post? Hi, your website is great! Hi Rebecca, I love your site with so many beautiful street gardens from around the world. Your welcome to ask for anything from Tokyo Green Space to share on your site. You might be interested in this visual, Japanese language recipe for seed bombs that I created for a children’s workshop last year in Tokyo. My name is Heather, I’m a student at Rice University in Houston, Texas. I am inspired by the Tokyo Green Space project and I’ve loved reading your articles. What you’ve written about the importance of gardens in urban environments has helped to clarify my own intuitions regarding the same. I am currently working on a travel proposal to garden in five major cities around the world (http://www.watsonfellowship.org/site/index.html). I’m particularly interested in community gardening- in the politics surrounding community gardens as well as the impact that the gardens have in the community and how they function- but also the smaller efforts and creativity of individuals that give character to a place. I would love to make Tokyo a stop on my trip. I would ideally stay in Tokyo for around two months. I’m wondering if you have advice as to how I could access the gardening scene in Tokyo- unfortunately at this time I do not speak Japanese. Do you know of community garden organizations or garden projects or garden clubs that I could contact about becoming a volunteer? Could I be of use to you or anyone you know who is doing similar work as a volunteer assistant? Hi Heather, Thanks for your message. Your project sounds very fun, and I am also very interested in how small and micro-gardens and individual creativity give character to large cities. Maybe other readers can suggest institutions to volunteer at. You could also explore the backstreets anywhere in Tokyo to see micro-gardens and those who make them. I’m a bee keeper in Paris, France. Unfortunately I will not be in Tokyo during that time. It’s been 5 years since I met the Ginza Honey Bee Project people. Please let me know what you find out about beekeeping in Tokyo!